Start now and enjoy its benefits for a lifetime. Take a class in your area with a certified Tai Chi Fundamentals® Instructor, join a workshop, and buy the book and DVD. If you’re a beginner seeking a simplified approach to Tai Chi, a Tai Chi instructor or health care professional, the Tai Chi Fundamentals® Program is designed for you. The first program of its kind, it provides a clear, systematic approach for mastering Tai Chi basics that builds from simple to complex movement. It also features training in Qi Gong and in simple techniques that can help keep you calm and focused during your day. Begin by learning the program’s Basic Moves AKA Movement Patterns. 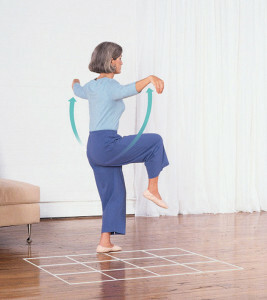 They help prepare you for doing Tai Chi and benefit your posture, coordination, focus and balance. Then start learning the Form. View demonstrations. As you progress in the program, the movements become more complex, building on what you have learned before. The Tai Chi Fundamentals® Program features versions for health care practitioners and instructors that include analysis and applications for therapy and function, and also provide high quality presentation tools for peer education.